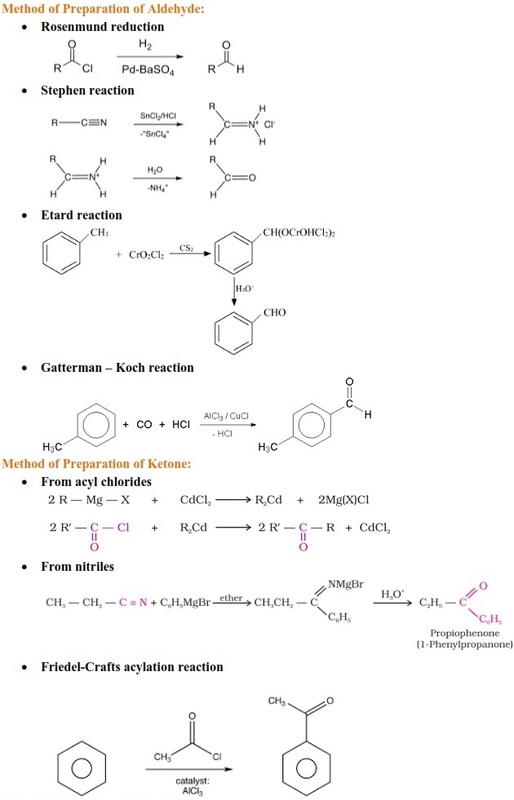 In this article, students will get revision notes of chapter Aldehydes, Ketones and Carboxylic Acids including preparation, physical properties, chemical properties and mechanisms of some name reactions for UPSEE/UPTU entrance exam 2018. The chapter “Aldehydes, Ketones and Carboxylic Acids” is very important part of Organic Chemistry in the syllabus of UPSEE/UPTU 2018. Students always get about 2-3 questions from different topics like physical properties, chemical properties, name reactions of this chapter in the examination. 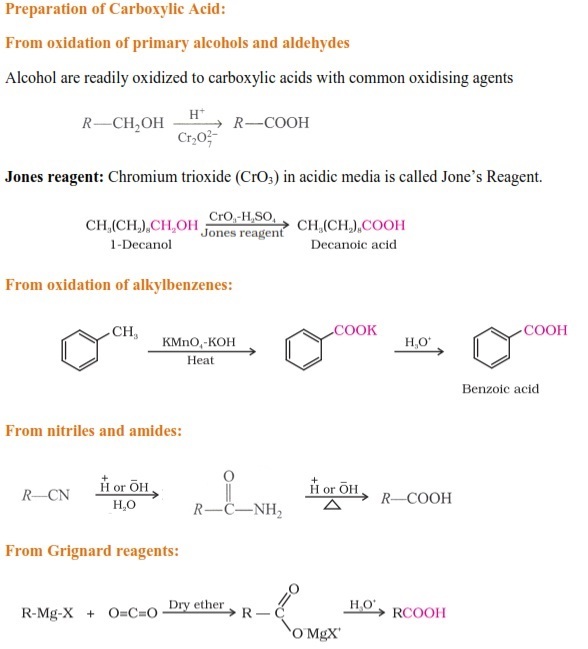 Students should try to understand the mechanism of all the reactions in Organic Chemistry instead of rote learning. In this article, Subject Experts bring to you the short notes including previous years’ solved questions for the examination. These chapter notes are based on the latest syllabus of the examination. These notes are prepared by Subject Experts of Chemistry after the detailed analysis of last few year papers of UPSEE/UPTU entrance examination. With the help of these notes aspirants will get complete overview of the chapter. The first two members of aldehyde are gases. The boiling points of Aldehydes, Ketones and Carboxylic Acids are higher than hydrocarbons and ethers of comparable molecular masses. The lower members of aldehydes are miscible with water in all proportions. The lower aldehydes have sharp pungent odours. As the size of the molecule increases, the odour becomes less pungent and more fragrant. Aldol means aldehyde and alcohol group on the same molecule. Reaction is only possible between two components having α - hydrogen. The reaction mechanism involves the formation of enolate ion and nucleophilic attack at a carbonyl carbon. 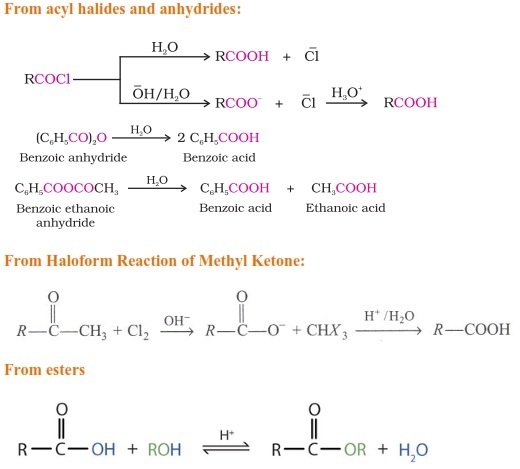 Looses water in the presence of an acid forming α - β - unsaturated aldehyde or ketone. The reaction uses an aldehyde with no hydrogen atom on α - carbon. Due to deficiency of α - hydrogen aldol reaction is not possible. Hydroxide ion attack one of the carbonyls forming a tetrahedral intermediate. Reforming of pi bond lakes place. So, the IUPAC name for the given compound is 3-amino-5-heptenoic acid. Hence, geometrical isomers are not possible. The IUPAC name for the given compound is 2 ethyl-3 methyl pentanal. The above reaction is Cannizzaro reaction. What is the product in the following reaction? 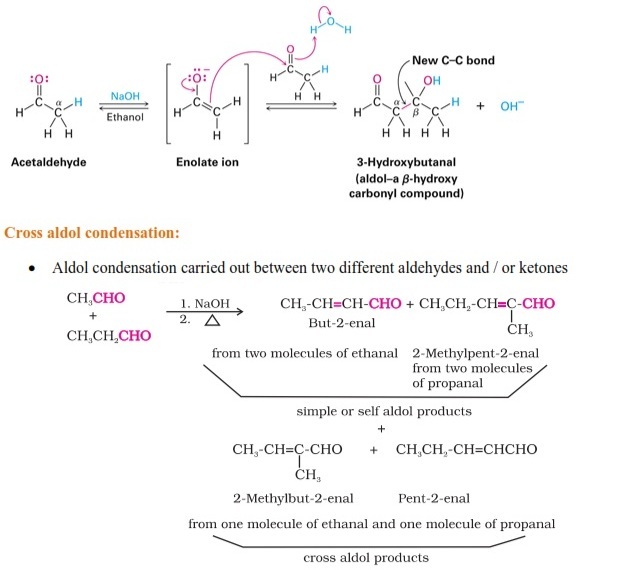 In aldol addition it is β hydroxyl aldehyde(aldol both alcohol and aldehyde group) But in aldolcondensation the product is α, β - unsaturated aldehyde. Which of the following represents the correct order of the acidity in the given compound? The acidity of halogenated acid increases almost proportionately with the increase in electronegativity of the halogen present. C6H5CHO has no H and α-carbon. Thus, no aldol condensation reaction is given by C6H5CHO. 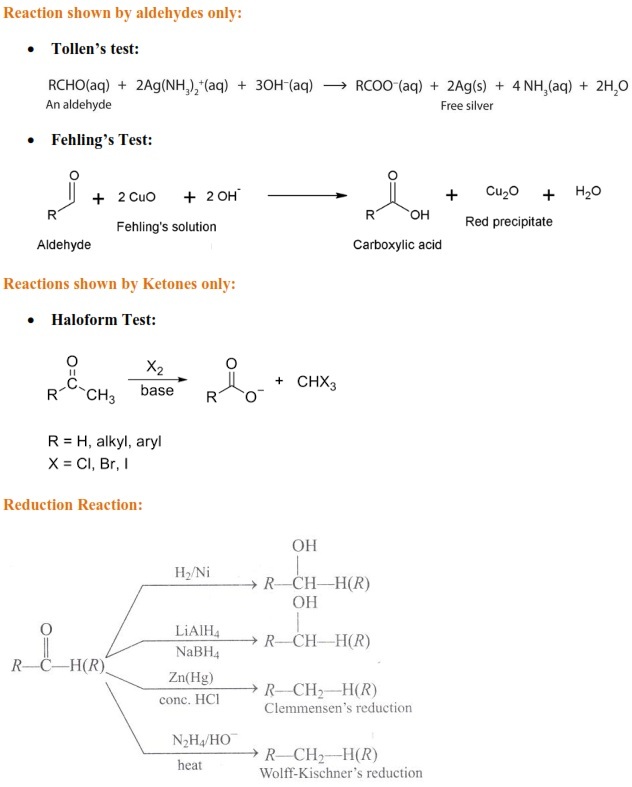 These notes will help you to understand all concepts related to chapter Aldehydes, Ketones and Carboxylic Acids in an easiest possible way. 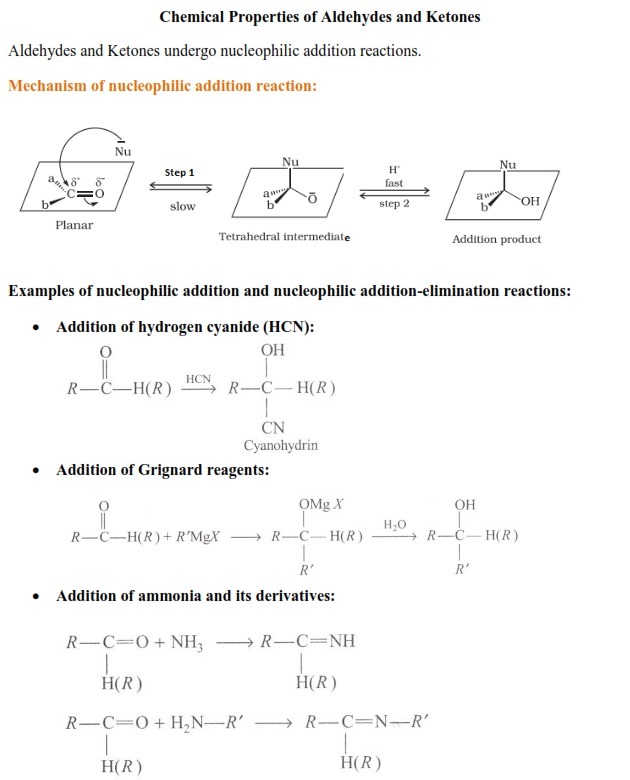 With the help of these notes students can easily understand the mechanisms of all important name reactions related to this chapter.